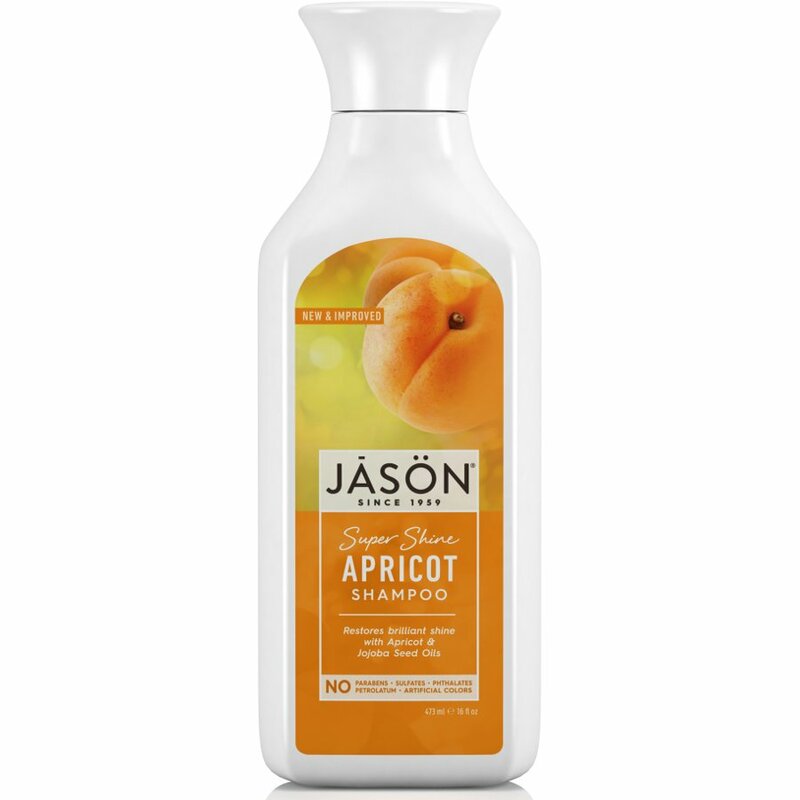 For sleek, shiny hair use this natural, organic Apricot Shampoo from Jason. It gently and effectively removes dirt and unwanted build up to restore natural glow and bounce. Enriched with apricot oil, it enhances shine and smoothes hair cuticles while soy protein and aloe vera replenish moisture from root to tip. This cruelty free shampoo is ideal for everyday use, free from parabens, SLS and phthalates. Gently massage the shampoo into wet hair and scalp, rinse and repeat if desired. For best results follow with Jason Apricot conditioner.. The Jason Apricot Shampoo - Super Shine - 473ml product ethics are indicated below. To learn more about these product ethics and to see related products, follow the links below. My hair smells delightfully of apricots and it is shiny too! Brilliant product and plenty to keep you going for some time. Love this shampoo, unlike some other natural shampoos it lathers up really well. It took quite a while to find a Jason fragrance that I liked, and this one's definitely my fave. There are currently no questions to display about Jason Apricot Shampoo - Super Shine - 473ml.